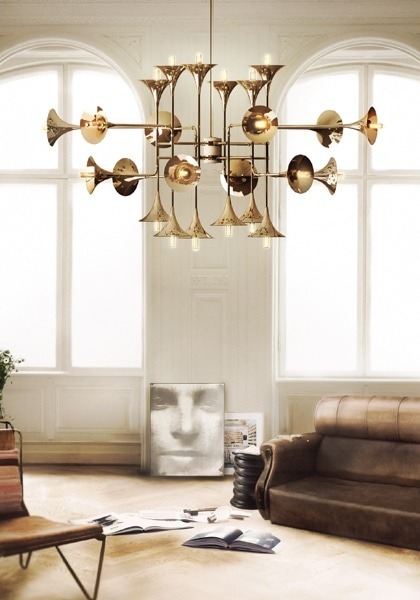 Recycled Trumpet Chandelier: Like an orchestra, Botti embodies all the details of wind instruments and takes us into a music concert. Its structure is handmade in brass and gently covered by a golden mantle, a monumental piece which shows the exquisite capacity of Delightfull’s skilled artisans. Botti pendant lighting chandelier will surely mark a ‘before’ and ‘after’ in any setting.